Buying the Rolling Stones 1960s back-catalogue can be a tricky and frustrating business. 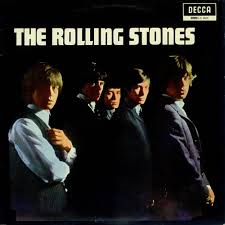 For years record buyers have been irritated by a lack of respect afforded to Stones 1960s material by both the company owning the rights to the songs (ABKCO) and the Rolling Stones themselves. Unfortunately it appears that in 2016, as the band release their ‘Rolling Stones In Mono’ box set, very little has changed. 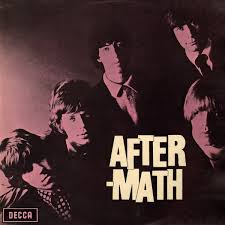 Many Stones fans have bemoaned the fact that The Rolling Stones 1960s material has never been represented correctly. In 1986, when the Stones 60s material was released on CD for the first time, the strange decision to release the material in stereo, rather than the original mono, was made. As a result, the ‘art of weaving’ as Keith Richards has often called the Stones guitar interplay, was lost as the bands sound was spread across a stereo spectrum with very little care or attention to detail and thus omitted an intrinsic part of what made the Stones sound so unique. Thankfully the ‘Rolling Stones In Mono’ has rectified the problem by referring back to the original 1960s mixes and a generation of fans will now be able to hear the Stones 60s material as it was originally intended. First generation fans by contrast no longer have to be puzzled as to why ‘Paint It, Black’ or ‘Get Off Of My Cloud’ do not sound quite as exhilarating as they once did. One ghost of the 1986 CD releases still remains however. When ABKCO released the Stones back-catalogue on CD, many of the U.S. versions of the Stones albums took precedence over the UK versions and for the best part of thirty years, the US albums have appeared on the shelves of record shops (and more recently on download sites), posing as original Rolling Stones album releases. The fact is, they never were. In the 1960s themselves, the Rolling Stones U.S. record label (ironically called ‘London’) crassly chopped up and slimmed down the Stones original UK album releases in order to squeeze every last cent out of the U.S. record buyer. Through chopping up every single Rolling Stones album recorded between 1964 and 1967, tracks that remained unreleased in America, along with stand alone singles, b-sides and EP numbers, found themselves cobbled together in order to create ‘new’ Rolling Stones albums. Releases such as ‘12×5’, ‘The Rolling Stones, Now!’, ‘Decembers Children (and Everybody’s)’ and ‘Flowers’ never appeared as UK releases and are, in truth, little more than compilation albums. 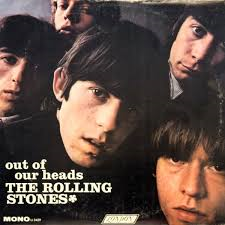 Further to this, albums such as ‘Out Of Our Heads’, ‘Aftermath’ and ‘Between The Buttons’, upon their original release, were presented with different running orders in the U.S. as well as being presented with several key tracks omitted. In 2016, as the Stones finally show the 21st century how their 60s material was meant to be heard, surely a great historian such as Keith Richards would want his own history to be represented correctly? Sadly not it would seem. 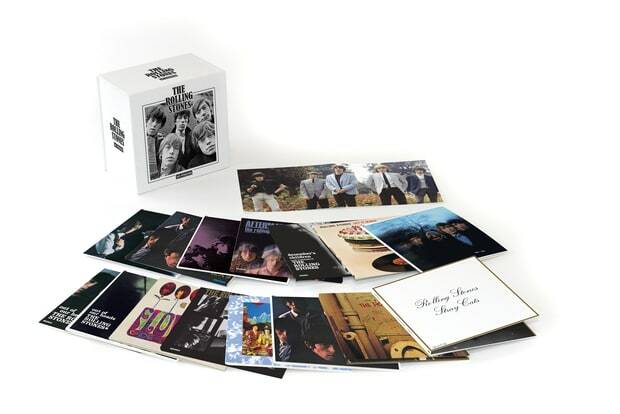 Granted, the ‘Rolling Stones In Mono’ does contain the original UK albums within but bizarrely also contains the U.S. versions in the same box. It appears that those with a disposable income will have no option but to be saddled with the U.S. versions of albums that will rarely ever reach their CD player. It would appear that the best option for fans keen to hear the Stones as originally intended, is to hang fire and wait until the albums are released individually in 2017. Those new to the Rolling Stones, or those wanting to simply delve further than the greatest hits compilations, may not know where to begin purchasing the Stones back catalogue but Louder Than War’s Michael Halpin is on hand to guide you, ranking the Stones UK released albums and taking us through the key tracks of each. 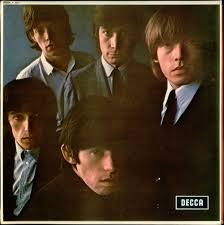 Not only the Stones best album from the 60s but arguably the best album the Rolling Stones have ever produced. 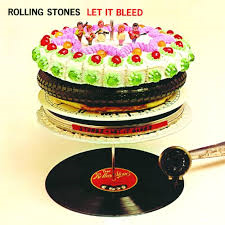 ‘Let It Bleed’ was the first Rolling Stones album to feature Brian Jones’ replacement Mick Taylor. ‘Gimme Shelter’ – Suspected to have been written by Keith Richards when he assumed that his then girlfriend Anti Pallenberg was having an affair with Mick Jagger as they filmed their roles for the 1969 movie ‘Performance’. Martin Scorsese is clearly a fan of the song using ‘Gimme Shelter’ on three separate occasions in his movies; ‘Goodfellas (1990)’, ‘Casino (1995)’ and ‘The Departed (2006)’. ‘You Can’t Always Get What You Want’ – Used as the b-side of ‘Honky Tonk Women’ in July 1969 before appearing on the ‘Let It Bleed’ album five months later. ‘You Can’t Always Get What You Want’ features Northern Soul heroes Madeline Bell and Doris Troy as part of the vocal choir. Debuted live in December 1968 on ‘The Rolling Stones Rock ‘n’ Roll Circus’ the film shows the bands last live performance with an extremely fragile looking Brian Jones. ‘Midnight Rambler’ – Deemed to be written about the Boston Strangler, Albert DeSalvo. ‘Love In Vain’ – A country fuelled cover of the legendary bluesman, Robert Johnson. ‘Let It Bleed’ – Featuring Ry Cooder on slide guitar, was this a nod to the then recorded but unreleased Beatles track ‘Let It Be’? ‘Country Honk’ – A country version of ‘Honky Tonk Women’ released as a single five months previously. ‘Monkey Man’ – Used wonderfully by Martin Scorsese in ‘Goodfellas (1990)’. 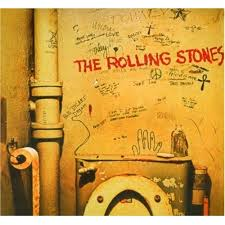 The album where the Rolling Stones ‘sound’ was born. Keith Richards discovered open-tuning and finally got chance to delve even deeper into his growing collection of blues records. With the Stones scaling back their tour commitments by 1968 (Brian Jones being too much of a liability), Keith had time to sit back and listen. It showed. ‘Sympathy For The Devil’ – Simply one of the greatest, most iconic rock songs ever written. The celebrated backing vocals and Keith’s piercing guitar solo have cemented this song into rock history. The performance during the Maysles brothers 1970 movie ‘Gimme Shelter’ is one of the darkest musical moments to ever to be captured on film. ‘Street Fighting Man’ – Inspired by both the Paris student riots of spring 1968 and an anti-Vietnam war protest march which Jagger himself attended, ‘Street Fighting Man’ was released as a U.S. only single four months prior to being included on the ‘Beggars Banquet’ album. One of the last significant contributions Brian Jones made to a Stones track is the songs slightly off-kilter sitar drone. Charlie Watts meanwhile took the decision to play a child’s drum kit on the track. ‘No Expectations’ – Beautiful slide guitar from Brian Jones. Again, one of his final significant contributions. Once more, the footage of Jones playing the song live on ‘The Rolling Stones Rock ‘n’ Roll Circus’ is painful to watch. ‘Dear Doctor’ – A genuinely funny blues-county pastiche. The Rolling Stones debut album. More than any other album, ‘The Rolling Stones’ introduced both the beauty and thrill of rhythm and blues to a mass audience on both sides of the Atlantic. ‘(Get Your Kicks on) Route 66’ – Written by Bobby Troup in 1946 and originally recorded by Nat King Cole’s The King Cole Trio, the Rolling Stones picked up the song via Chuck Berry’s Rock ‘n’ Roll version in 1961. This was the beginning of the Stones and the Beatles showing white America that it already had a goldmine of popular music worth exploring. ‘I Just Want To Make Love To You’ – Written by Willie Dixon and first recorded by the Rolling Stones blues hero Muddy Waters. The Stones give it an amphetamine fuelled British R’n’B treatment and footage of the band playing the track live at the NME poll winners party in 1964 is still exhilarating 52 years later. ‘Little By Little’ – The b-side of the Stones first top ten hit, ‘Not Fade Away’. Song writing credits go to Nanker- Phelge & Spector, Nanker-Phelge being the pseudonym used by the Stones when all five members of the band contributed to the writing of a track. Phil Spector also received a credit for simply being in the studio it seems. The interplay of guitar and harmonica solos between Mick and Keith holds a genuine raw charm. ‘Tell Me’ – One of Jagger and Richards first song writing attempts. Surprisingly Mersey beat sounding rather than rhythm and blues. The track appeared in Martin Scorsese’s ‘Mean Streets’ in 1973 – one of the first instances in which a pop song was used in the background of a scene rather than being used as a focal point. The Rolling Stones answer to the Beatles ‘Rubber Soul’ and the first Stones album to consist entirely of Jagger & Richards material. ‘Mothers Little Helper’ – Reflecting the darker side of the swinging sixties, ‘Mothers Little Helper’ laments the increased use of valium as a prescription drug in the UK. The sitar-sounding intro is actually Keith Richards playing slide on a 12-string guitar. ‘Under My Thumb’ – Influenced by the Four Tops ‘It’s The Same Old Song’, ‘Under My Thumb’ features both an intriguing fuzz-bass from Bill Wyman and an exotic sounding marimba from Brian Jones. The Who recorded and rush-released both ‘Under My Thumb’ and ‘The Last Time’ as a good-will gesture when Mick Jagger and Keith Richards appeared to be facing prison sentences for drug possession. Pete Townshend stated that the gesture was as a way of keeping the Rolling Stones material in the public eye. ‘Lady Jane’ – Written by Mick Jagger after reading the then controversial ‘Lady Chatterley’s Lover’, the intrinsically English-sounding composition features a beautifully played dulcimer courtesy of Brian Jones who, although losing his grip as the bands leader (it was Jones who formed the band in 1962) took on the mantle of the bands multi-instrumentalist, finding unusual instrumentation and musical textures designed to develop the Stones sound. ‘Out Of Time’ – British R’n’B singer Chris Farlowe’s cover of ‘Out Of Time’ was number 1 in the UK charts during the week in which England won the World Cup in 1966. Like the majority of the material on ‘Aftermath’, ‘Out Of Time’ benefits from the unusual instrumentation afforded to it by Brian Jones. In this particular case, Jones adding a marimba to the recording. Although not filled with classic Stones material, The Stones third album interestingly see’s the band moving away from blues covers and over to more soul based material. If anything, the album almost presents itself as ‘The Rolling Stones Sing Soul’. This was the last Rolling Stones album to be predominantly cover version based. ‘I’m Free’ – Best known as the original version of the Soup Dragons 1990 top 5 hit, the track is worth the time of day for that alone. ‘Good Times’ – A faithful cover of the Sam Cooke classic, again, at the time the Rolling Stones were managing to turn young people onto both rhythm and blues and soul on both sides of the Atlantic. ‘Hitch Hike’ – A cover of Marvin Gaye’s 1962 hit, the Stones version was cited by Lou Reed as the inspiration for the Velvet Underground’s ‘There She Goes Again’. ‘That’s How Strong My Love Is’ – A tender cover of the O.V. Wright classic. The Stones version leans more towards the Otis Redding rendition and again classic footage is available of the Stones performing the number on ‘Ready, Steady, Go!’ in 1965. ‘Heart of Stone’ – An early Jagger & Richards composition. Mick and Keith appear to be finding their feet in writing songs in the style of their rhythm and blues heroes. 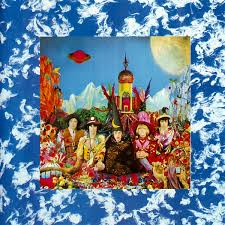 The Stones infamously go psychedelic. Not as bad an album as its reputation in rock history suggests. The album suffered from being recorded during Mick Jagger and Keith Richards high profile ‘Redlands’ court case and you can almost hear the fact that their minds are on other things. ‘She’s A Rainbow’ – The playful, almost childlike ‘She’s A Rainbow’ is arguably the most beautiful song the Rolling Stones have ever recorded and session musician Nicky Hopkins contributes a mesmeric piano line which gives ‘She’s A Rainbow’ its main area of intrigue. Future Led Zeppelin bassist John Paul Jones, a seasoned session musician at the time, composed the string arrangement for the track while Brian Jones’s mellotron adds further psychedelic weight. ‘2000 Light Years From Home’ – Legend has it that Mick Jagger wrote the lyrics for ‘2000 Light Years From Home’ whilst in Brixton Prison following his conviction for drug possession in June 1967. A wonderful version of the Stones performing the track “live” can be viewed on Tony Palmer’s excellent pop music documentary, ‘All My Loving’ from 1968. ‘In Another Land’ – The Bill Wyman penned number is worth a listen for the simple fact that it features the Small Faces Steve Marriott and Ronnie Lane on backing vocals, with Steve Marriott effortlessly out-singing Mick Jagger on the chorus. Like ‘Out Of Our Heads’, ‘Between The Buttons’ is not an album filled with Rolling Stones classics and much of the best material recorded during the album sessions did not make it onto the UK release. Songs like ‘Let’s Spend The Night Together’, ‘Ruby Tuesday’ and ‘Have You Seen Your Mother Baby, Standing In The Shadow?’ were all released as stand-alone singles when in truth, ‘Between The Buttons’ could and would have benefitted from the addition of these tracks. ‘Yesterday’s Papers’ – The first song Mick Jagger wrote completely on his own. It has been suggested that the song was directed at Jagger’s ex-girlfriend Chrissy Shrimpton (sister of iconic 60s model Jean Shrimpton). ‘Back Street Girl’ – Revisiting the English-folk theme of ‘Lady Jane’, Brian Jones plays an enchanting vibraphone while Phil Spector collaborator, Jack Nitzsche, contributes a wonderful harpsichord. ‘All Sold Out’ – The rockiest song on the album, a wonderful fuzz-bass from Bill Wyman and some equally wonderful distorted guitar from Keith reflects, as well as anything else of the era, the point where pop music was just about to become psychedelic rock. Like their debut from the year previous, ‘Rolling Stones No.2’ is, aside from three Jagger and Richards originals, an album filled with blues covers. The return is slightly diminished however in comparison to their 1964 debut release. ‘Time Is On My Side’ – A cover of the beloved rhythm and blues favourite by Irma Thomas. ‘I Can’t Be Satisfied’ – A faithful version of the Muddy Waters hit, sixteen years after the release of the original. All words Michael Halpin. More writing by Michael on Louder Than War can be found at his author’s archive. Although, I respect your opinion about the differences between the tracks (and sometimes almost completely different), there is one huge difference that makes buying the US versions along with the UK versions worthwhile. Something that the UK did that just gets under my skin is they did not include the singles on the UK album versions. This makes not a lick of sense. Normally one would think that singles were put out ahead of albums in order to gain support to sell the album. So in this regard, I thank my lucky stars that the US put out there own versions with the singles included! I also blame the UK for the US leaving tracks out, for if the UK didn’t add songs on the albums to take the place of the singles that should have been there, maybe the US albums would have been closer to the UK originals. Come to think of it, all those added tracks to the UK albums would make another alum (at least) entirely.